Black hole. 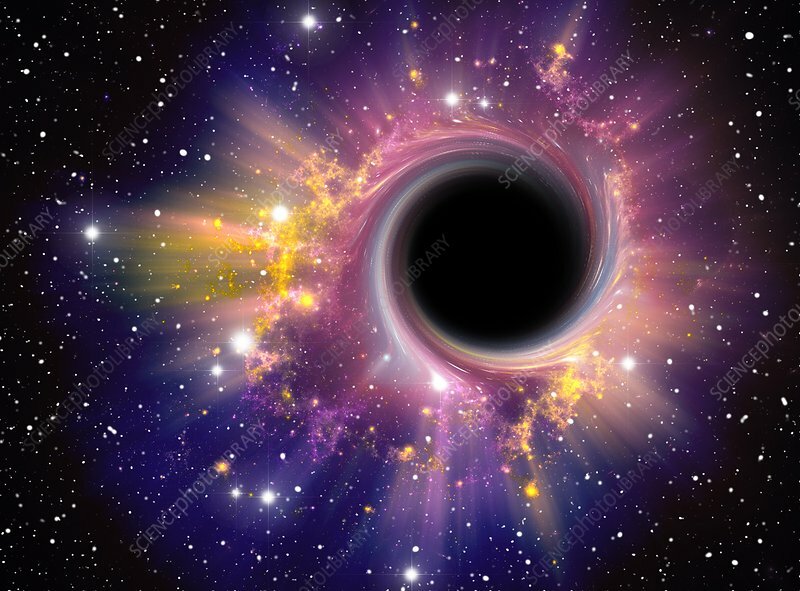 Computer artwork representing a black hole against a starfield. A black hole is a super- dense object, thought to form from the collapse of a huge star. Due to their incredible mass, the gravitational field around them is so strong that not even light may escape from their 'surface'. The point at which light can no longer escape from the object is called the event horizon. Although there is no definite proof of the existence of black holes, several strong candidates have been found in the form of large stars with small, dense companions which emit X-rays. It is thought that matter from the star falls towards the black hole, emitting X-rays before being pulled in.